Hey! Are you looking for the best google chrome extensions to improve your search results? Do you know that there are some google chrome extensions that make it more great & helpful. Chrome is a wonderful browser- fast, completely designed and packed with necessary features. Chrome’s real strength is the large library of extensions that give it unlimited new functions and facilities. Google Chrome is the main browser. We all love it for many reasons and One of them is the availability of all the useful extensions it gives. Google Chrome extensions are the small apps that adds an extra feature to the web browser. 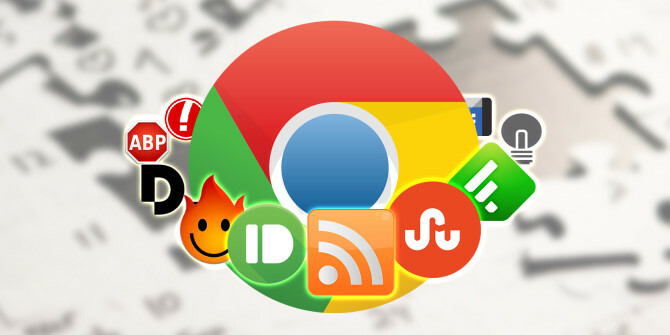 So here we are listed 8 best Google chrome extensions that enhance your browsing experience. HTTPS Everywhere is a Firefox, Chrome, and Opera extension that encrypts your information with many major websites and making your browsing secure. It protects your privacy and removes any matter relating to surveillance, record hijacking, and any other such privacy concerning action. You can improve your security & Privacy with the HTTPS Everywhere.HTTPS everywhere allows smart and clever technology to surf securely over the internet. It is available in 50 different languages. So you can add HTTPS extension for an amazing and safe search result. Click&Clean is one of the best google extensions. The Click&Clean extension for Chrome enables you to clear your history and cache, URL searches, website cookies, and also download history with a just single click of a button on your browser toolbar. This extension can also scan your computer for viruses and instantly clean up your hard drive of unused applications. Thus helping your computer to run fast. Grammarly will make sure your messages, documents, and social media posts are clear, mistake-free, and impactful. This extension corrects the grammar and spelling of everything you write online.Grammarly extension is free. Adding Grammarly chrome extension to Chrome means that your spelling and grammar will be vetted on Gmail, Facebook, Twitter, Linkedin, Tumblr, and everywhere else you write on the web. Grammarly can fix hundreds of multiple grammatical mistakes. This Chrome extension is trusted by millions of users. So you can add this Google Chrome Extension for improve your Writing Skills. This is also one of the amazing and best google chrome extensions. Adblock Plus for Google Chrome blocks video ads, banners, pop-ups and other forms of rude and irritating advertising. It also gives you control over Google Chrome browsing experience. This extension also blocks tracking & Malware. Users also have the option to add other personal filters and whitelist websites. It is Used by millions worldwide. Adblock Plus is very Easy to use & also enhance Privacy. You can download it for ad-free Work. This extension has also come in the list of Best Google Chrome extensions. Google Dictionary gives the definition of a word when you double-click on it. It is very simple to find out the meaning of a word. All you need to do is, just install the chrome extension and double-click any word to see its definition in a small pop-up balloon. In this extension, Foreign words are automatically changed into your language of choice. Install now this useful extension to see the meaning of any Word. This is one of the best chrome extension to Save your password and gives you the complete security.LastPass will automatically save your all login Passwords in database and autologin whenever your need. It is the free extension that keeps your password at one place.LastPass will solve all your problems related to passwords. You can access it anywhere and LastPass will also improve your Online Security. It is also free Password Generator and Generates secure passwords to replace weak one. Add this chrome extension now to your browser to solve password related problems. Netflix Party is a wonderful Google Chrome Extension. With this extension you can watch the movies at the same time as friends in different places. This is the best extension who are in long relationships. The most amazing thing of this extension is that it allows a chat window on the right-hand side of the screen which helps to share the experience with your friends. If you have ever tried with studying for a test or learning a new language while keeping up with your other duties, the FlashTabs extension for Google Chrome might be helpful for you.FlashTabs is a tool that allows you to set a set of flashcards, and process through them at each new tab screen. FlashTabs is a simple Chrome Extension that makes learning simple and easy. Now you can build a set and process through it as part of your regular workflow, all time you start a new tab screen. Hope You Find this article Helpful. Don’t forget to share it with your Peers! If you have any query or feedback related to this guide, feel free to tell us in the comments section.